So, I’ve compiled the ultimate list of travel hints and tips that will help to avoid those pitfalls and it will assist you in getting the most out of any journey. 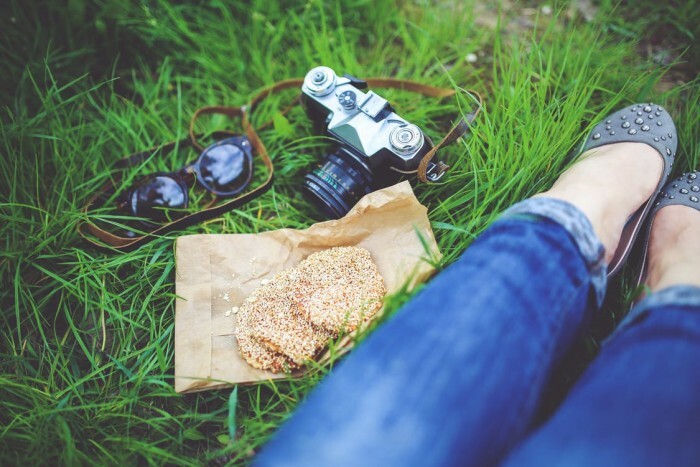 Whether you are planning your first big adventure or getting ready to embark on your tenth world tour, there will definitely be something on this list that will be of use to you. Keep an eye on that passport expiration date, especially if you are planning a long trip through lots of countries. Not only do you need to make sure you get back home in time there are also many countries that don’t allow you in unless you have at least three months left before the expiration date. It is likely that you will be using your bank cards during your journey so make sure you let them know where and when you are going. 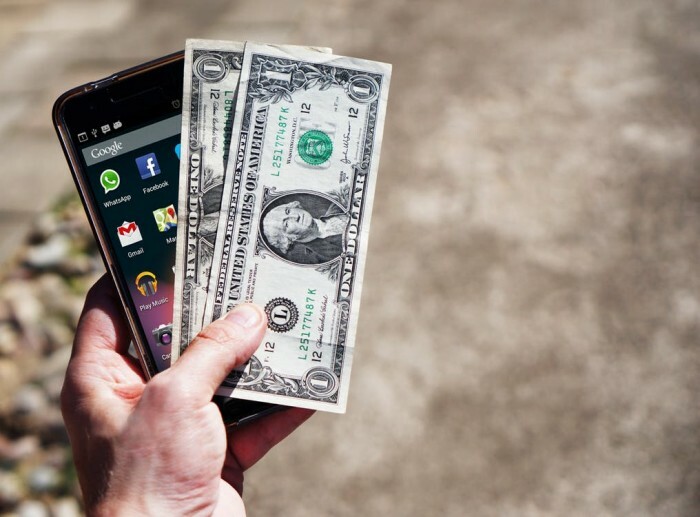 The technological age has made every aspect of travel much easier but your bank will be notified as soon as you access your cash from other countries. If they haven’t been informed of your plans you may find your card is suspended due to ‘suspicious activity’. It is good to know that they take security seriously but it is not hard to imagine how inconvenient this would be. Let your cell phone provider know where you are going too. In addition to unlocking your phone for international calls they may be able to help with free data roaming or reduced costs on calls and text while you are travelling. Don’t forget to recharge the balance and take your charger. If you don’t already have storage in the sky then make sure you get some before you leave. For as little as $0.99 a month you can have 20GB of storage on Dropbox for all of your photographs, videos, blogs and emails. Aside from the obvious advantage of having plenty of room on your phone for all the apps and photos that you might need it also means that you won’t lose anything important if your phone or laptop gets lost or stolen. Travel insurance is a very economical safeguard for all your cash and belongings. There are now policies available for travelers who are visiting more than one country. Check out www.worldnomads.com for more information. These days we don’t leave home without our smart phones and they can help us out in so many ways. Before you even leave your home take photographs of all your important travel documents so that you will be able to access them even if you lose them. If you follow my advice regarding getting cloud storage you’ll still be able to access them if your phone has gone missing along with the documents. Before you leave the luxury of free wifi behind make sure you download any apps that you might need onto your phone and backed up to the cloud. This could include the app provided by your flight operator as they often give you the option to have your boarding pass ready to go before you even arrive at the airport. You will probably want to get iTranslate installed too and if you are going to be travelling for a while consider the Duolingo app so that you can practice your foreign language skills on the move. Don’t forget that you will need to be entertained while you’re travelling so consider a podcast app such as Podcasts by Apple https://www.apple.com/itunes/podcasts/,or the Audible app so that you can download audiobooks. I can’t manage without Currency Converter Plus while I’m travelling too so this is always preloaded onto my phone. The Tripadvisor and Booking apps will be very valuable tools if you’re looking for places to stay while you’re on the move plus TripAdvisor will give you some very useful guides and ratings of resorts and destinations. There is literally an app for everything these days so have a good read of these tips and consider which ones most suit the adventure that you are planning to have. I have met many travelers who have been doing this for decades and they did not always have the luxury of all the information that we have at our fingertips, so use it! I don’t mean just plan your route; I mean learn about the countries you’re visiting. What are the local customs, what is their relationship with tourists from your country, where are the hidden gems, what should be avoided. Before you step foot out of your house you should already be developing a feel for the places you’re going to see and the people you’re going to meet. It was really useful for me to know a little about Romanian mannerisms before I arrived. From my very British perspective they would have seemed to be being rude as they don’t go in for please and thank you very much and despite having a wicked sense of humor this doesn’t translate into lots of laughs and smiles without good reason! If I hadn’t known this before I arrived I may have felt very uncomfortable. There is not a single hotel, hostel, resort or travel company that hasn’t been reviewed online somewhere. It is important to analyze these as some reviews are left by customers with a grudge (the customer is not always right) but if there are enough bad reviews for a place you should probably take heed. It is also important for you to leave reviews for this reason, especially if you’ve had a particularly good or bad experience. Although this list is an attempt to reduce the stress you may encounter it is almost impossible to avoid all pitfalls. The way you react to problems will define your experience more than the way you react to the good times. There is nothing that can’t be fixed and being patient with a smile on your face will make it much easier to deal with. When I found myself stranded in Malaga in need of somewhere to stay at 6pm on a Thursday evening I would have been within my rights to panic and be in a terrible mood. I calmed myself down, found somewhere pleasant to sit while I sorted my problems out and took some selfies to commemorate the experience. Panicking and being rude to strangers was definitely not going to help no matter how justified the reaction would have been. As a result I got to my emergency accommodation with a smile on my face and enough energy to take advantage of an extra night in a vibrant city. Taking time to meet the people who live in the places you visit is one of the joys of travel. I’m not just talking about asking for directions or being polite to the receptionist at your hotel either. There are lots of apps and websites that help you to hook up with local residents who are keen to meet travelers. There’s www.couchsurfing.com that provides you with a global network of travelers to stay with, but also has daily and weekly meetups in most major cities or there’s www.eatwith.com that allows you to book a table at a local residents home in over 150 countries, or www.showaround.com to find yourself a local tour guide, or maybe you want to enjoy the nightlife and should look on www.partywithalocal.com. When you meet the people who live in your destination of choice you get the best information on what and what not to do during your stay. It is not necessary to travel too far to find people who do things a lot differently to you and it is important to keep an open mind about the customs, traditions and behaviors that you will see. You may be travelling in a country that is very misogynistic or who are very strict with their children or who enjoy watching bull fighting, or bear baiting. This may be abhorrent to you but you don’t have to like everything that you see but you will need to respect and accept it if you are going to get along on your adventure. As a solo female traveler I am constantly biting my tongue at what I consider to be sexist attitudes. Being patient has often given me the chance to actually talk about what was said and it has often been very well received and not previously considered. If you can engage in healthy conversation about the things that you see with a friendly resident then that’s great and can build bridges, but condemnation never changed anything. There will be a time when you find yourself sat in a café or bar laughing and surrounded by new friends, communicating in broken English and gestures when the proprietor comes over. He’s decided to offer you and your friends a complimentary tray of unknown drinks or unusual looking food that you’re really not sure about. Unless there is a really good reason not to, accept the kind offer with a smile and gratitude. You’ve just broken a barrier, improved the impression people have of your nation and made a friend in a foreign land. While knowing the local delicacies and the political history of a country is important it is also really important to understand their behavior. For example do people tend to chat on public transport, or are they more respectful of fellow travelers personal space or is it usual to say thank you after every transaction or is it implied in the body language. Knowing these subtle nuances will help you to be accepted and won’t get you labeled as an arrogant tourist. Even with all the research you will have done thanks to following my excellent advice there will still be much to learn. I have found that sitting in a park or on a bench on a busy street for a few hours and just watching the world go by in a new country helps me immensely. You get a feel for the people, the pace and the attitude without moving a muscle. There is an understandable temptation to have every step of your journey planned and booked in advance, but the best experiences take place in the most unexpected places. By taking this advice I have accidentally stumbled upon the world famous Ferier de Abril in Seville and a troupe of dancing carnival girls rehearsing in the centre of Bucharest. Have a few elements planned and set in stone, but allow yourself some periods of time that allow flexibility to exploring and take the scenic route to your next destination. Put the map away, turn the GPS off on your phone and go for a walk. Make sure you have your camera fully charged as this is often low in battery when you find the most interesting places. Obviously make a note of your temporary home so that you can get a taxi back whenever you need to and make a mental note of any areas that are considered to be a problem for tourists, but other than that relax and see the area without a plan. Some of the street food and drinks may look unappealing, but it is a delicacy for a reason. You’re here to experience new things, don’t stick to the sanitized version put on for the tourists, and get to know the place through the local cuisine. It sounds obvious but if you don’t make a list then you will forget something. Write down absolutely everything that you think that you might need, but divide it into ‘essential’ (like your passport) and ‘desirable’ (like that second pair of Louboutins). This will make it easier to make cuts later if there is a space issue. If you need more than hand luggage then you’ve packed too much. I don’t care if you’re going for a weekend or a year, hand luggage is absolutely plenty. I learned this the hard way as I left for my journey with a bag bigger than me, quite convinced that I couldn’t possibly cope with less than the five pairs of shoes I had in there. Travelling with hand luggage is easier, cheaper, quicker and time saving. I’ve had some hard earned lessons regarding saving money by getting cheap luggage including a nerve wracking walk through the streets of Seville unsure if my poorly selected rucksack with wheels would survive a 25 minute trundle over cobbles as it couldn’t be carried as a rucksack due to the wheels digging in my side. It turned out trying to get the best of both worlds just meant it wasn’t very good at being either a wheeled case or a rucksack. From the moment you leave home your bag will be the only thing protecting all of your precious belongings and is going to be dragged along streets, shoved in overhead lockers, lugged up and down escalators and generally battered and bruised. Consider the type of journey you are going on, if there isn’t going to be much tough terrain to navigate then get the wheels. If you’re not seeing any tarmac after the airport then you’ll need a rucksack. Make sure the bag is soft but not thin material, rigid cases don’t allow for any extras you may pick up along the way. This bit of advice revolutionized my journey at about the half way point. Rolling up clothes instead of folding them not only takes up much less space but it drastically reduces creases! If you have any crinkled clothes when you arrive at your destination just put them on hangers in the bathroom while you have a shower and let the steam do its work. So you’ve got the bag and you have everything on your list ready to pack, but there is no way all of that is fitting in the case. Start by just putting in the items on the essentials list then pick up each of the items on the desirable list one by one and actually ask yourself if you really need it. Imagine when you’re going to use it, how often you’ve used it before and how unhappy you’d be if you realized you needed it but it wasn’t there. Only put in the items that you decide you can’t cope without. It’s amazing how easy it is to streamline that list and there will probably be some room left in the bag too. Choosing lots of thin and lightweight items over one or two big and bulky things will give you more space, more choice and a lighter bag. Don’t pack anything that doesn’t go with everything else in your case. This is no time to be considering that one off Alexander McQueen dress! Think about co-ordinating colors and choose clothing that can easily be worn during the day and dressed up with a few accessories for the evening. Darker colors are less likely to show any stains or spillages too. 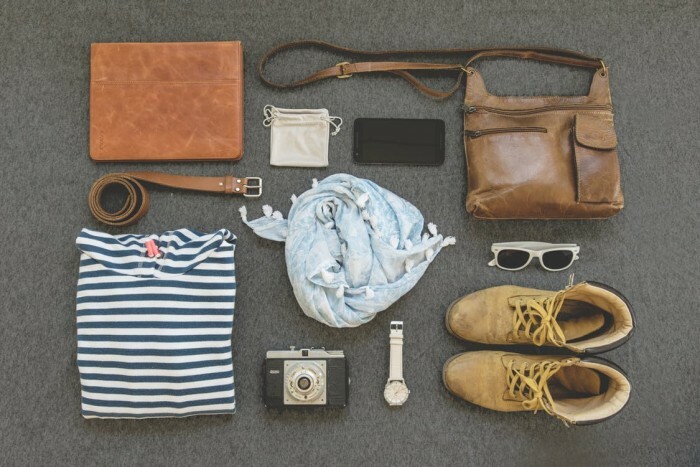 If you have to pack something light colored make sure it is really easy to wash or you’ll just have a yellowing shirt to carry round until you get home. Apart from the obvious health advantages of keeping the sun off your face and head this is the ideal way to manage bad hair days with style and grace. With the luxury of a closet it is easy to have the perfect shoes for every outfit but now it’s time to think smart. I love my black ankle boots. I can comfortably wear them all day for travelling, hiking and sightseeing and they look just as good with a light dress in the evening. A light pair of sandals or flipflops that you can throw on to go into the garden or to the beach on a warm day are an absolute must. At a push I would add a good pair of sneakers to the bag. These are comfortable and light compromise somewhere between sandals and boots. Yes, no matter how long you’re travelling for one week’s worth of clothes is always going to be plenty. Think about the cost and effort of carrying more than that around with you compared with the hour or so that you will need to spend using a washing machine once a week. It won’t even be that often if you’re being smart about caring for your belongings. If you’ve used my tips on keeping your clothes coordinated with each other and if you’ve rolled them to keep them crease free you will have far more than just seven outfits for seven days. If you have long hair it is likely that these will be on your essentials list anyway. Rather than just pack them use them to tighten and secure the rolled up clothing, you’ll be able to fit much more in this way. You don’t get charged for what you’re wearing and there is nothing to stop you stripping off once you’re on the flight or coach. To make extra room in your case and still take that bulky coat or pair of jeans that you can’t cope without, just wear them. Fill every nook and cranny with the smallest items, so if you have packed a pair of shoes or boots make sure they are full of socks and underwear. Towels are a huge waste of space and it is very likely that you can get one at your destination for either a deposit or just by buying one at a local store. Having clothes that dry fast are absolutely essential. From getting caught in the rain to having to do an emergency wash this is essential. Is there anything that you are taking that couldn’t be replaced by an app on your phone? Maps, guidebooks, books, music, camera, notebooks all of these can be taken care of with the genius device you have in your pocket at all times. Packing a few plastic bags is a lifesaver. They can be used to go around the bottom of shoes to stop them getting your clothes dirty. You can separate wet and dirty clothes from the rest if it is necessary to pack them up. Use them as a bag to separate the few things you will need for your day out. On the beach or by the pool they will keep books and electricals dry. For the food shop you avoid getting more bags and do your bit for the environment. If you’re going to be going through airport security you know that you will be asked to get certain items out of your bag so pack them last and have them ready to take out of your case in one easy bag. The vast majority of flights require you to have no more than 100ml of any liquid in your carry on luggage and it has to be put in a separate bottle and in a clear plastic bag. Alternatively it is in the hold putting all of your belongings at risk of leaks from split and broken bottles. There are very few places that you could be visiting that won’t have somewhere that you can buy your favorite shampoo, conditioner, toothpaste, make up or anything else that you might need for the trip. Unless it is going to be infinitely cheaper to bring your own, this is a much better option and your stuff will all be waiting for you at home when your vacation is over. That’s one less thing to worry about on the way home. Having baby wipes to hand at all times will not only be of use to you in a million situations but they always make you popular with fellow travelers. I can’t count the amount of times I have offered mine to someone who just poured something down their front during particularly bumpy journeys. I use them to clean my hands after using unpleasant rest rooms, removing makeup on overnight journeys, cleaning wounds if I get a cut. They are meant for babies so they are really good for your skin. Being able to spot your luggage in a sea of near identical bags is a timesaver. I often tie one of the handy scarves that I carry everywhere around the handle if I know I am getting separated from it for any reason. Spotting that big pink bow with hearts on it on the carousel always makes me smile. I can’t tell you how many times this has saved my travels. I’ve fixed clothes, bedding, bags and belts while on the move and I’ve also helped a lot of fellow travelers out along the way. If you pack no other footwear make sure you pack flip-flops. They are small, light and you can wear them in the shower, the sea and the street. Having something that you can pull on your feet in a hurry is essential. In communal showers they may well save you from getting a verruca and other unpleasant foot conditions. I have three scarves or sarongs of different sizes and colors. They take up barely any room in my bag and at a push I can tie them to the outside of my bags if I’ve crammed a little too much into my usual case. The versatility of a scarf is almost endless. They can be an accessory, a head scarf, a skirt, a shawl, a pillow, a towel, an eye mask, ear defenders, protection from the sun, the list is literally endless. I’ve recently discovered that rolling one up into a tube and putting it around my neck does exactly the same job as the inflatable pillows you can buy for ridiculous amounts of money at airports and coach stations. I am pretty sure I will eventually write a piece just about the ways that scarves can be used on your travels so please take me up on this one. Have a ziplock bag that you can put everything in that you won’t be using until you get home. Car keys, house keys, home currency, airport parking ticket etc. This way you won’t be rooting through it when you’re trying to find something while you’re on the move. Cash is always the most helpful resource at your disposal so even if you are travelling on a budget and plan to mostly use a card to pay for goods and services it is advisable to have some hard cash available. This doesn’t need to be a huge amount, but if you can put $20 or so of local currency in your pocket, your bag, your hand luggage and under your pillow then there aren’t many emergencies that you won’t be able to deal with in a hurry. It’s a waste of money and time. Get your cash out at the ATM for the minimum charges and maximum simplicity but remember to let your bank know where and when you are travelling or you may find your card frozen due to a suspicious activity warning. You do get charged each time you use the machine though, so try to do it as few times as possible. There is no doubt that your credit card will offer you the best exchange rate but that will be offset by your credit card fees, so save it for the big purchases like flights and hotel bills and make sure you clear your balance before the interest starts adding up. Take the time to get familiar with the local cash and coins. There are many stories about local businesses short changing unsuspecting tourists. It won’t be very much but over a long trip it could certainly start to add up. It will also please the locals that you are dealing with to see that you have got to grips with their coins. It is very difficult to convert coins back into your own currency once you are home, and there are often quite a few big denomination coins available, so make sure you use them all up before boarding that flight home. 50. Who Do You Call? Make sure you have all the emergency numbers to hand that you might need if cash or cards go missing. Put them on your phone, write them down and put them in your case, email them to yourself. Being caught with no access to cash in a foreign land is very stressful so reduce that stress wherever possible by taking precautions. In some areas tourists are seen as an easy target for criminals. While this is very unlikely to happen, as all the horror stories are the exception to the rule, there are things you can do to reduce the chances. In order to engage in a scam involving your card the perpetrators will need some time on their own with it. If the card machine isn’t in sight then take no chances and pay with cash. It may sound like common sense, but this is the method I use more than any other to get by in any country. It works on everyone, the new arrival at your hostel, the person walking towards you on the street, the shopkeeper. Make it known that you are friendly and happy to see someone and you will find yourself with a lot of new friends and allies. Avoiding eye contact and defensive body language can make you seem to be a threat or unfriendly. Push those nerves to one side and smile! Be aware that body language is the first thing that people read especially if you are both communicating in a second language. Your exclamation of how wonderful something looks could be read as disgust or shock if the words you use aren’t understood. Take time to learn the local hand gestures, like does giving a thumbs up mean the same thing here, if it doesn’t it could lead to confusion. When travelling through a lot of countries it is very difficult to keep all of the local languages in your head and you will need a translator much of the time but taking time to learn the basics will be very much appreciated. I find ‘hello’ ‘goodbye’ thank you’ ‘please’ ‘yes’ ‘no’ and ‘sorry’ to be the bare minimum and I can usually keep that much in my head until it’s time to go to the next destination. There are a number of free language apps that you can use to get yourself prepared. My personal favorite is Duolingo, which is also a website. The Rosetta Stone Travel App is specifically aimed at travelers needing to use their skills immediately, but a lot of the additional features aren’t free unlike Duolingo. Most of us have a smartphone these days, when all else fails to use the translator. iTranslate allows you to download language packs so you don’t even need to be online to use it. There are also apps that allow the person you’re communicating with to speak directly into the phone and use voice recognition, so you don’t have to worry about spelling although I haven’t found one that is free to use yet. Give the language and more importantly the accent a go. Adopting the local accent may feel like you are mocking the people, but that is their accent and they are far more likely to understand the words if you say them like they do. The locals really appreciate you making an effort, so friendships and laughs will make feeling a little silly so worthwhile. It is easy to zone out when you are hearing or reading something in a foreign language, but be mindfully engaged in what people are saying and you will be surprised by how much watching expressions, seeing reactions and finding words that sound familiar help you to understand. The same is with signs and leaflets that you see. Get used to the words and they start to make sense. Couch surfing used to be a term for someone down on their luck who was having to sleep on friends sofas, but that has changed over the last five years. Couchsurfing has built a global community of travelers and hosts who are willing to open their homes to those visiting their city. The site is well regulated and making sure you stay with someone you’ll get on with is very easy. People tend to stay for one or two nights but longer stays are possible. Save money on flights and coaches by signing up to any of a number of sites matching drivers with travellers wanting a lift. Blablacar and Lyft are two of the best examples that I’ve found but search for lift share in Google and you’ll find that there are plenty to choose from. These sites have excellent verification processes and you will rarely pay more than a small contribution to the petrol costs. This gives a unique perspective on any country that you are visiting. There are many organizations that are in the business of putting the right people in the right places. You could find yourself in a school in Taiwan or an animal sanctuary in South Africa. For a few hours work a week you get food, accommodation and an enormous sense of well-being at no extra cost. My favorite sites are Workaway and Helpx as they have years of experience and have developed a huge database of organizations. The benefit of this is that the projects will already have reviews from former volunteers so you can be sure of what you’re getting yourself into. This is a great system where you either get to do a direct swap with someone in your destination of choice who would like to visit your home town, or where you go and look after someone else’s home while they go on holiday. The responsibility to look after the place is often no greater than it would be if you were staying in a hostel or hotel, and you have complete privacy and often in a nice neighbourhood. With house sitting there is often some pet care required, but I consider this a bonus rather than a drawback! 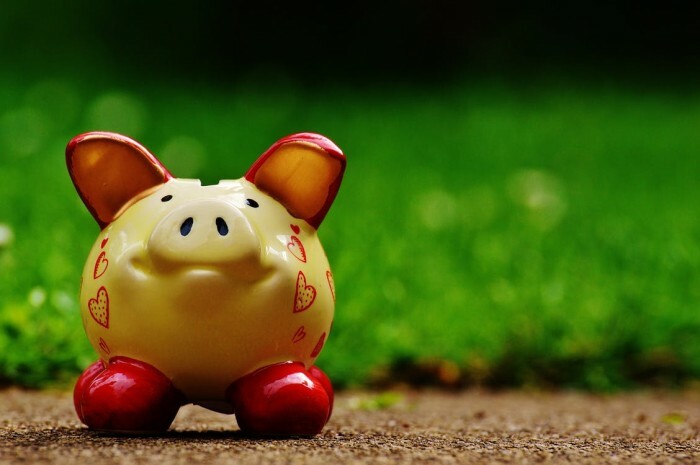 Most sites require a small registration fee but this lasts for an entire year and pays for itself the first time you get a week of free accommodation in a foreign land. Mindmyhouse and Trustedhousesitters are two sites with a great reputation and a lot of homes to choose from. This is particularly good advice for moving around in Europe. There are fantastic coach services that link almost all major cities in Europe. They are clean, air conditioned and often have power points and free WiFi. It is often more scenic than the train too. It may take longer but it can really enrich the experience if you have given yourself time to enjoy the ride. Visit the Flixbus, Go Euro and Eurolines websites to book in advance and get the best deals. If you’re travelling in the UK visit the Megabus website and you might get a coach from London to Edinburgh for just £1! Every hotel, hostel, airport, train and coach station is plastered with leaflets and posters offering tours in the local area. These are very often overpriced and overcrowded. Take the leaflet, see what they are offering and then use that free WiFi to see if you can’t get yourself to the same places for much less. You get to do it in your own time and you’re far more likely to mix with locals who will give you the real low down on the places you’re seeing than if you are mindlessly following a tour guide around. Yes, sounds simple but we are all so used to using public transport in our home towns that we forget we are exploring a new place now. Leave time to walk to your destination and you will not only save money but you’ll be improving your health and getting to see the city at your own pace. I usually prepare my own food wherever I go and as I am leaving one destination to get to the next I try and turn any leftovers into a mini picnic so that I don’t get hungry on the road. Not only will this save you a fortune on overpriced planes and in service stations, it also guarantees the taste and quality of what you’re eating. There are always places where you can fill up your water bottle. Not only does this stop you spending money on bottled water it also gives the planet a break too. The notion that hostels are dirty, crowded and noisy options full of rowdy youngsters is very outdated. Low cost travel is big business these days so these establishments have to compete to make their business stand out. They are often very clean with excellent facilities and ideally located. The best thing about them is the people that you will meet there. I have left hostels with new friends from all over the world, all of whom are happy to host me if I ever visit their corner of the earth. 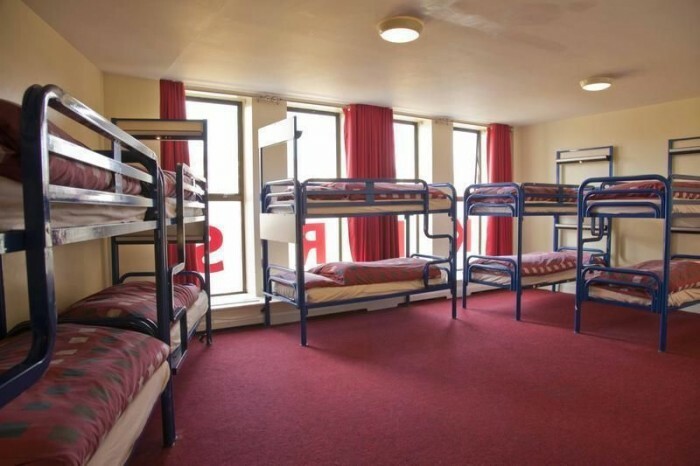 I’ve written a separate section of tips on how to get to grips with hostel life. In the majority of hostels there is a communal kitchen which is where you will find the infamous hostel refrigerator. Some places have handy stickers that you can use to label your food, but many don’t and actually these don’t always work. I have found that it makes sense to take a small cooler bag that will pack flat in your suitcase but pops up to hold a few days of food and you can pop it in the fridge in one easy to use place. You can put your name on it too if you fancy, but even the most audacious hosteller will pause before actually taking out a zip locked bag and rooting through it for a drunken midnight treat. It is also worth investing in a Tupperware container that will hold a couple of portions of food. That way you can cook a few days of food in one go and store the rest in your container. This will leave you with more time for adventures and socializing. I don’t know about you but I like to listen to the radio while I shower but the set up in most hostels doesn’t allow for leaving your phone on the sink while you wash away the adventure dust of the day. I take a plastic bag into the shower with me and hang it on the back of the door covered with my towel. This way I can play music without inconveniencing anyone else who may want to use the facilities. This genius idea has been picked up by many of my fellow hostellers who had travelled for years without working it out for themselves. If the idea of wandering through a hostel to the shower room with nothing but a towel to protect your modesty is unappealing then preparation is the key. Put the clothes you plan to wear into a plastic bag (the same one that you will be using to protect your phone will do just fine) along with your toiletries. Once in the cubicle you can strip and put your old clothes into the same bag. You can now shower without getting anything wet. When you’re done, towel off in the shower and get dressed before emerging fresh clean and free of embarrassment. I recommend taking a few padlocks. I have never experienced anything going missing while I travel, but I have heard apocryphal tales and there is no harm in being cautious when you don’t have the security of a private room. Most hostels have cupboards that you can use but many charge for lockers, however, a lot of the free storage options can be made secure with a padlock that you bring from home. There is also the option of keeping everything in your bag and padlocking it when you go out. A bike lock will enable you to secure the bag to the bed for extra security in your absence. As I have said before meeting people is often the most memorable and enriching aspect of any adventure. If you’re planning to cook a meal for yourself, consider making a little more and inviting your fellow travelers to join you. It is rarely any extra work and the additional expense will be minimal. The act of sitting down to eat together breaks down barriers and you will be incredibly popular within minutes. The chances are that any additional cost will be offset by them happily buying you a few beers at the next opportunity. While you are likely to be in a dorm with up to 10 other beds there is a way to get some privacy. Ask for a lower bunk, which is usually possible, and then get those scarves that I keep mentioning out of the bag. Simply hang them around your bed and you have your very own private den. If the communal area for drying clothes is full then utilize your bed. Hanging your smalls above the sleeping space while you head out exploring for the day is the ideal solution. I’ve seen some people get really innovative with clothes wire hanging from one side of the bed to the other. Don’t hang them in other parts of the room though, you need to have some consideration for your fellow travelers. Yeah, if you know that you have a propensity to snore, do think about the people you are sharing with and put yourself on your side before getting some sleep. In a room being shared by up to 10 people it is inevitable that at some point you will need to make some noise while at least one of your roommates is trying to sleep, but try to keep it to an absolute minimum. If you and your friend need to have a conversation then you can step outside the room for a few minutes. If there is something you are likely to need in the middle of the night like snacks, charger, food then don’t keep it in a plastic bag, that rustling can drive people crazy. It’s little things like this that make all the difference. In a shared room there will be times when your fellow travelers are checking out a day or two before you are. While they may sneak out as quietly as possible you need to be prepared for their beds to get changed. Generally cleaning teams come in after 11am and will try to be as quiet as possible if you’re trying to get a lie in, but it’s not always easy to change beds in silence and they will have to vacuum at some point. You can also help by keeping your stuff together and under the bed so that they can clean around you while you sleep. It is a small price to pay for a nice clean room. You are going to be using your smart phone a lot and there aren’t many trains and coaches that have power outlets. 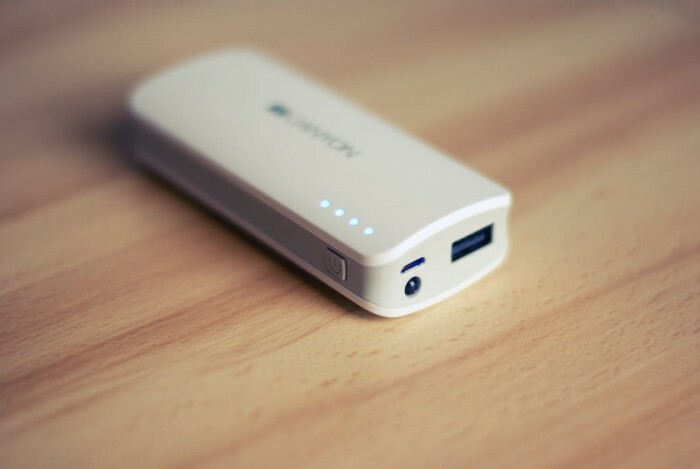 Investing in a good quality power bank is absolutely essential for anyone planning a long trip. It is also possible to get one that will keep your laptop going too, but beware of getting one that exceeds the maximum capacity allowed onto planes. The amount of places offering free wifi is growing all the time and it can often be a lifesaver if you are relying on apps and emails to see your next bus stop or the location of your hotel. There are a few apps that you can download that are just for locating wifi spots and some of them will even provide you with the passwords in advance. This can be very useful when trying to overcome language barriers. My favorite is Wifi Map, but there are lots for you to check out for yourself. This may seem unusual but I can’t praise the uprising of the podcast enough and they are completely free. There are a number of sites that let you peruse thousands of podcasts on all topics like politics, comedy, history, psychology, fiction, whatever your passion, there will be something for you. The wonderful thing is that you can download them and have them ready for long journeys with no data and they use very little battery. As with the podcasts there are loads of sites offering free downloads of your favorite audiobooks ready to keep you entertained on your travels and once downloaded onto your advice they need no wifi and use very little of that precious battery life. I have managed not to lose or misplace a single item of importance on this trip and I owe it all to my multi pocketed belt bag. There are lots of stylish options available these days too, so there is no need to feel like a tourist from the 90s while wearing it. Use empty toiletry bottles to store extra cash and jewelry in your room as they are unlikely to get a second look. Make your travel plans public. This can be on social media but you should also let someone responsible know where you plan to be and when so that it will be noticed quickly if something has gone wrong. I have lost count of the number of times I have needed to produce my passport to get into certain state buildings or to have access to services, especially if you’re travelling in less developed countries. Make sure there is a secure pocket in your bag or jacket for it and just keep it there. For some people the fear of flying actually prevents them from exploring this wonderful world of ours. I’m lucky enough not to have this problem but I’ve traveled with and met many people that do and it seems that there is a lot that can be done to get past it. There are lots of courses on offer from flight operators that want us to become their customers, so look into that option if the problem is actually stopping you or someone you want to travel with from getting on a plane. For those of sufferers who are actually able to take a flight there are a few things you can do to reduce the discomfort you might feel. The vast majority of sufferers know that this is an irrational fear as they will have been made very aware of the statistics that prove just how safe this mode of transport is. This means that no amount of telling someone that there is nothing to be scared of is going to help, however, repeatedly traveling by air will teach the body that there is nothing to be scared of. So it will start to get much easier and maybe even be an enjoyable experience if you can get past the fear enough times. This fear is an automatic physiological reaction to a perceived danger and the best way to combat it is with methods used to fight all anxiety disorders. Firstly practice some relaxation techniques such as breathing, mindfulness and meditation long before the flight. There’s no point attempting something new when your body is already gripped by fear. Avoid caffeine and sugar or anything else that will raise your heart rate. Drink plenty of water. Anxiety is a symptom of dehydration. Remember that alcohol will dehydrate you as will the atmosphere in a plane, so you will probably need to drink more water than you usually do to stay fully hydrated. Take a distraction. This could be a book or something to listen to. Focus on the destination and how much you’re going to enjoy yourself when you arrive. 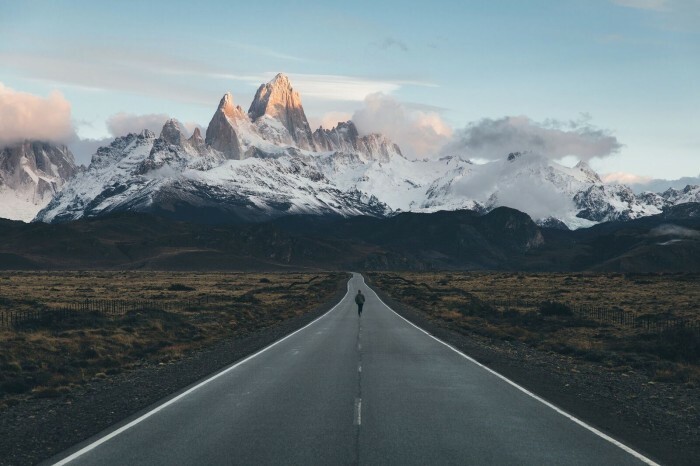 I am a big fan of traveling by road, but some destinations just aren’t accessible that way and we shouldn’t have our options limited by irrational fears, so do give these tips a go. If you can choose your seat always go for a seat by the door. The quicker you can get off your flight the quicker you can start your adventure. Those scarves I recommended bringing will come in handy here as one can be rolled up tight and put around the back of your neck to take the place of those over expensive blow up pillows and another will be welcome when it gets a little chilly or you fancy pulling the covers up for a snooze. There is a chance that you may need to take your shoes off at security. To save time loosen laces and don’t be caught out with holes in your socks! The airport is your last chance to use up any loose change you may have from the country you are in, so spend them! Every airline is different and some allow no more than a handbag or briefcase as free hand luggage. If you don’t pay any extra charges either you or your bag won’t be allowed on the flight. It is inevitable that any regular traveler will encounter the horror of a delayed flight from time to time. Often it is a short delay that leads to little more than a frustrating wait but sometimes its chaos and no one seems to know what’s going on. Inevitably there will be queues around any service desk with irate travelers demanding information. Be the cool character, grab yourself a drink and sit somewhere comfortable and call the airline direct. They usually have 24 hour customer service and access to the latest information and not many people consider calling them, so you can usually get through a lot quicker than you will by standing in a line with 300 fellow passengers. These days it is very common to be able to check in in advance and get your boarding pass on an app on your phone. This is brilliant unless you get to the gate and find you have no signal or low battery on your phone. Take a screen shot of the boarding pass and make sure you are sat next to a power outlet to charge your phone while you wait to board. Airplane toilets are cramped, smelly and difficult to get to, make sure you get the toilet in the airport at the last possible minute. You’ll be glad of the arm, leg and head room. If you have a bit of a wait due to a delay or being super-efficient then set an alarm on your phone just in case. Dozing off is easy to do and you don’t want to sleep past the boarding time for your plane! I’ve never quite understood why 300 passengers queue to get on the plane. You have your seat allocated already so sit back and relax while you wait for the crowd to go through first. I’ve advised a seat at the front or back to ensure you can disembark quickly, however, if you suffer from air sickness then the middle of the plane is your best option for reduced turbulence. You’ll need to fill out lots of immigration forms if you’re on a long haul flight so save time on waiting for your turn on the communal pen if you bring your own. It is also handy for doodling, journaling, writing lists and filling out puzzles. Having a pen on you at all times is more of a life tip than a travel tip! Fill your water bottle at every opportunity and drink loads of the stuff. As your body adjusts to the different food and climate of a new country being well hydrated will help it to cope just fine. Even in cold countries hydration is the key! If you’re eating out then do it at lunchtime. There are often great deals to be found in most restaurants and it is much cheaper than eating in the evening. This is also healthier than having a big meal in the evening, especially if your days are full of walking and sightseeing. You’re going to need that energy during the day, not for relaxing in the evening. These are usually overpriced and poor quality compared to what you could find at small local eateries or in the supermarket so take a walk into the local area and find a better start to the day. If you are in the center of a popular tourist destination, or you’re in the vicinity of a local attraction don’t stop to eat there. Walk for five minutes in any direction and you will find the price drops and the quality, service and ambience drastically improves. Or at very least write the shopping list straight after eating. This is great advice to stop you from buying more than you need for the time you are in your current destination. I have often found myself travelling with a bag of groceries that I really could have done without but didn’t want to waste. Do you have an allergy or dietary requirement? Then make absolutely sure you know how to let people in restaurants know what you can’t eat. Be ready with this when you go food shopping too as you will need to scan the labels for any of those foods you can’t eat. I know, you are on holiday and it is fine to relax a little, but honestly if you drink alcohol and eat unhealthy food every day you just won’t get the best out of your trip. 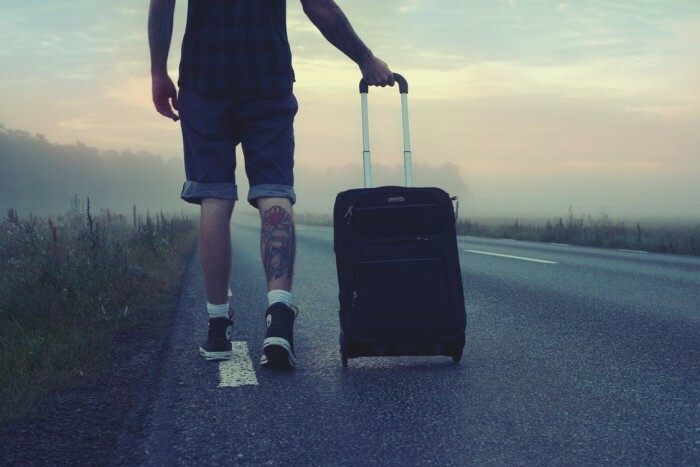 This is especially important if you are going on a long trip, you need to get out of the holiday mode within the first few weeks if you don’t want to burn out before you get to the end of your trip. That’s a compilation of the best tips that I’ve picked up since I started traveling and I have a feeling I am going to have lots more to add to it in the coming months. Please get in touch and let me know what you think and which of these have been particularly helpful to you. Do let me know if you have any tips that you think I should know about too. We’re all in this together so let’s share the experiences and advice.